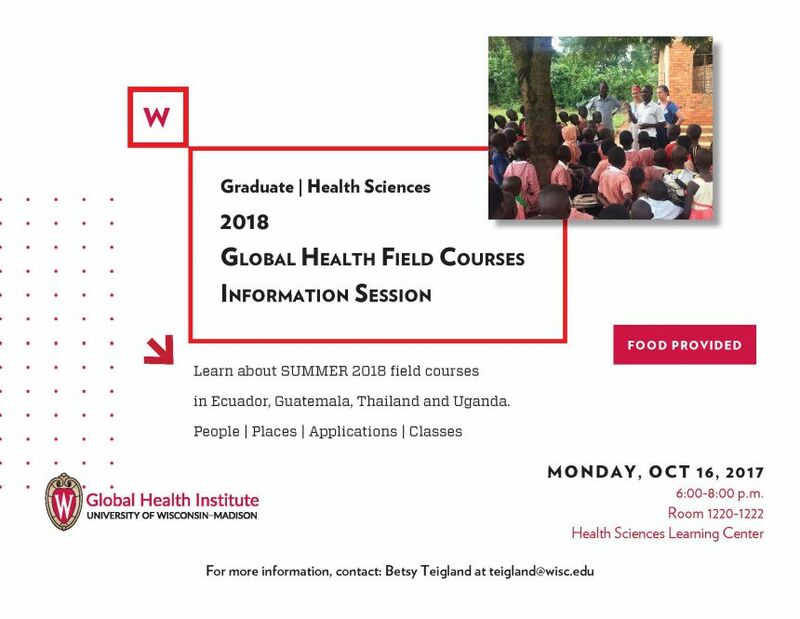 Graduate and health sciences students are invited to learn about summer 2018 field courses in Ecuador, Guatemala, Thailand and Uganda. Hear about the people you’ll meet, places you’ll visit, classes you’ll need and application process. Food will be provided.